 The Village of Midway is located in Boundary Country of beautiful British Columbia. We are about a 5.5 hour drive from Vancouver and a 2 hour drive from Kelowna. For international travelers, there is a U.S./Canada border crossing at Midway, BC on Dominion Street, with Ferry, Washington. The daytime hours are from 9:00 am to 5:00 pm, seven days a week, all year long.